A total of 2,800 refugee and migrant children housed in facilities across Greece have attended school so far in 2018. The EU and the International Organization for Migration are both helping fund educational programs in Greece, alongside the Greek Education Ministry. "I am pleased to see these children getting back into the school system, especially after the hardships and deprivations they have endured," IOM chief William Lacy Swing said. "Gaps in education can be devastating, not only to a child's development, but also to society in general; education is priceless in its own right, but what is less talked about is its power to help the children and their families join in and build links to the local communities. The European Commissioner for Humanitarian Aid and Crisis Management, Christos Stylianidis, added in a media statement: "We have a huge responsibility to prevent the loss of generations and to prevent children from growing up without an education. The EU is the world's leader in 8% of children's access to schools this year and 10% of our budget next year is devoted to education." He added: "This program is a great example of cooperation between the Greek authorities, the IOM and the EU. 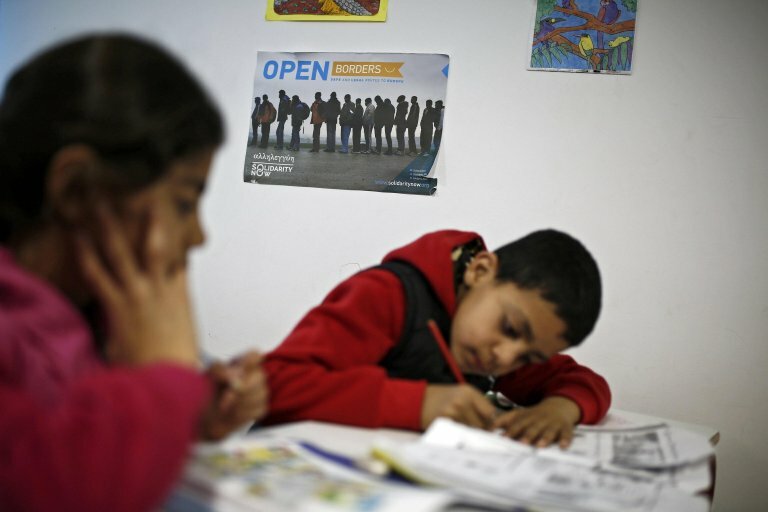 It has again lead refugee and immigrant children into Greek schools and it has contributed in particular to limiting the mental and physical barriers that prevent the child from returning to education." According to official figures, IOM said 88 school buses with 117 chaperones transported the 2,800 children from 26 accommodation centers around Greece to 123 nearby schools daily.Students were also equipped with school kits - including notebooks, pens, pencils and other necessary supplies.The majority of people attending classes were children (91%), and nationalities were split between Syria, with 35%, Iraq with 31% and Afghanistan with 25%. Most children are enjoying the experience In a survey carried out by IOM, 89% said they enjoyed school, and learning and communicating with other children - elements that are indicators for joining the Greek educational program. "Greek lessons are my favorite and it is not too difficult for me at all; I have friends in the Greek school and once the bell rings for a break we go to the yard and we all play together," said 10-year-old Younes from Iraq. He added: "I like to go to school and when I grow up I want to become a doctor." The program is funded by the European Commission and is part of the wider project "Humanitarian and Recovery Support to the Affected Population in Greece."